I recently stumbled upon a fantastic new organization geared to women in the automotive industry called the International Women’s Automotive Society that really impressed me with the work they are doing, and I wanted to be sure that I shared with you. It’s definitely a MUST for Women in the Automotive world. 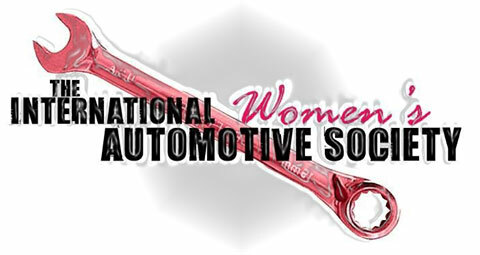 The International Women’s Automotive Society (IWAS) is a 501(c)3 non-profit aimed at developing a community of women to encourage, educate, assist, and create a positive impact for women in the automotive industry. It is a growing group of very passionate and talented women who are helping one another by leveraging their individual knowledge and strengths to teach and empower the group. They provide a wealth of information and resources to female automotive enthusiasts and professionals, and work as a collective to help support its membership through education, encouragement, assistance and advocacy of women in automotive. IWAS regularly features inspiring stories of its members that detail their personal journey in the automotive industry in their Women of Auto feature section. Each story gives an in-depth look at the life of a female in automotive, recounting her struggles, successes and future goals. They are also promoted through the sites social networks, giving added exposure to the featured member all month long. If you’re looking for a women’s auto enthusiast club to find like-minded ladies that share in your passion, IWAS has a section devoted to Female Automotive Clubs. Here you can find regional and national clubs for women in a variety of different sub-cultures of the automotive industry. When you’re choosing who you shop for, its always helpful to support female-owned businesses. IWAS regularly adds new female-owned automotive businesses to their Female Owned Automotive Business list. These businesses include everything from service shops, part resellers, media organizations and other businesses within the industry. Wanting to pursue a career in automotive, but don’t know where to start? The IWAS team has put together a useful resource that details different educational paths – from technical and vocational colleges to traditional degree programs and even military training. Many of the members have earned degrees or are currently pursuing an education in automotive, and their Industry Education resource gives you access to real-life experiences and advice. Need help getting your automotive education? One of the most amazing resources on the site is its Automotive Industry Scholarship section. This section finds and lists scholarships and opportunities available to women in the automotive industry. They range from technical school-specific to foundation-granted general tuition awards for those pursuing advancement in the automotive industry. There are several special members-only sections and benefits set aside for IWAS members. Perks such as free magazine subscriptions to media partner, Girls N Garages magazine, a product review section to get feedback on products, exclusive Women of Automotive merchandise, and direct interaction with other IWAS members through members only groups and forums. It is free to join the International Women’s Society. Membership allows you to get involved with all IWAS events and opportunities- from educational seminars, industry events, special cause benefits, and much more. Building a community of like-minded and supportive women, you can benefit from and give back to mentorships programs, and general camaraderie with fellow ladies who have a passion for automotive. Interested parties are encouraged to fill out a membership form at Join IWAS. There are also opportunities for companies to sponsor educational events or give tax-free donations to the organization.